I never thought I would sit down and write about this particular experience, the experience of having my dog stolen, and in turn my heart. It happened some time ago, but the after shocks are still very real. But I was reading some blogs the other day, (yes I love to read just as much as I love to write), and I came upon a photo that knocked the air right out of me, and in the same instance produced unstoppable tears. I called my husband into the office and asked him to take a look, he calmly said “when did you post a photo of Chiquita?”. When I explained it wasn’t her, he also started to cry. Let me start to put this all in context, It was a blog about a dog named Chancy, and the photo that just kind of brought everything back to the surface. 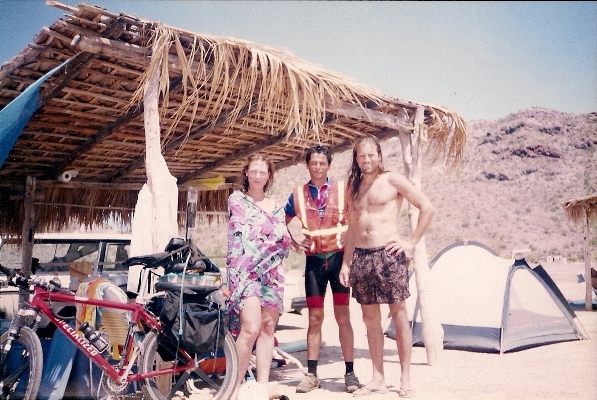 Right after Spore and I were married, a bit over fifteen years ago, we decided to take a camping honeymoon down to Baja. He was leaving for Antarctica for another contract so we decided on beach camping and warmth. We were about twenty miles south of Mulege, and there were maybe five people on the beach when we arrived. There were easily three times as many dogs. We set up our camp, and went straight into the beautiful water. While I was out snorkeling around in salt water bliss, something bumped into me. It’s a bit disconcerting to be in a deep day dream like state, with literally nothing around you for miles, and be bumped, bumped by what? I slowly turned my goggled face to the side, and just when I thought for sure I would see a shark, I was equally as shocked to see four little black legs paddling around. This little black dog had paddled quite some distance out, and was now looking to hitch a ride back to shore. My back was apparently the mode of transport she was looking for. So we swam back in together, she was amazingly at home on my back, and I was surprisingly at home with her being on my back. It really happened that fast. She went right to our little camp, looked around, and then trotted off down the beach. She did this for about three days. And then one day she never left my side. For two weeks we lived on the beach together, went through two hurricanes, fishing adventures, snorkeling, hikes, and hours upon hours of beach combing. When it was time to leave I put her in the car with us, it just felt right. My husband tried to tell me that we couldn’t take a beach dog home, he was leaving for six months, and I was going to be staying with a friend and couldn’t have a dog there. I looked at him and remember saying, “what kind of human being would I be if I just walked away, we belong to each other”. Spore and I had lived and traveled together for three years before we were married, so he knew me well enough to not press it. But we did need to find a veterinarian, get a rabies shot, and border papers so she was legal to come home with us. We located a person in the nearest small town, who knew a person, who knew a veterinarian, but they weren’t sure if he worked on dogs. Hmmm? I called and he agreed to meet us at his office the following morning. You see his office was part of a restaurant/cantina, during the off hours it was his veterinary clinic. We met, he examined her, gave her a shot, filled out the paper work, ordered drinks and ceviche for us, and said, “what’s her name?”. Well, that was something we hadn’t thought about, I just referred to her as My Dog. I thought for a moment and said, “Chiquita”, and it couldn’t have been a more perfect name for her. We borrowed a collar from a beach friend and attached her Olympic size rabies tag to it. It was her first collar and she loved it! We traveled north, ate tacos together, talked about our future, and everything was perfect. Perfect. Perfect. Perfect. I was so happy and complete. She stayed with my parents for two months while we settled in to our new work, and Chiquita managed to capture my Dad’s heart as well. They did everything together, they walked, went out for business lunches, took naps, and spent time in the garden. And so began our journey and love story. When we returned to our home in Wyoming, Chiquita seemed to take to the mountain life right away. As the years passed our family grew. We still continued to travel, only now it was with Chiquita and our children. Our life was feeling complete, whole. Everything I loved and needed was almost always within arms reach. 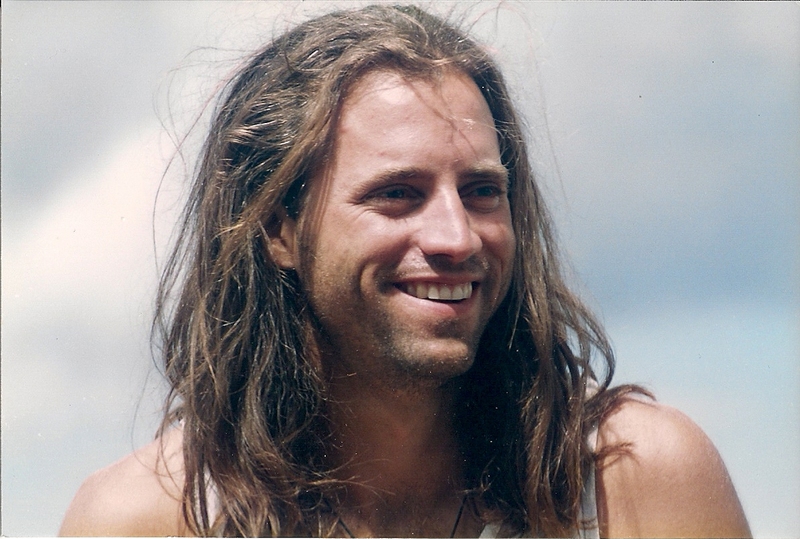 This little dog that found me in the sea, was now traveling across the United States, mousing in Rudyard Kiplings orchard, living in Maine during the fall and winter, hiking the highest peaks in the Wind River Mountains, playing in snow, and kayaking across lakes and down rivers. She was staying up late at night with me while I nursed my babies, spending time killing mice in the yard while I gardened, laying next to me when I didn’t feel well, and trying to rid our neighborhood of the terrorist skunks. 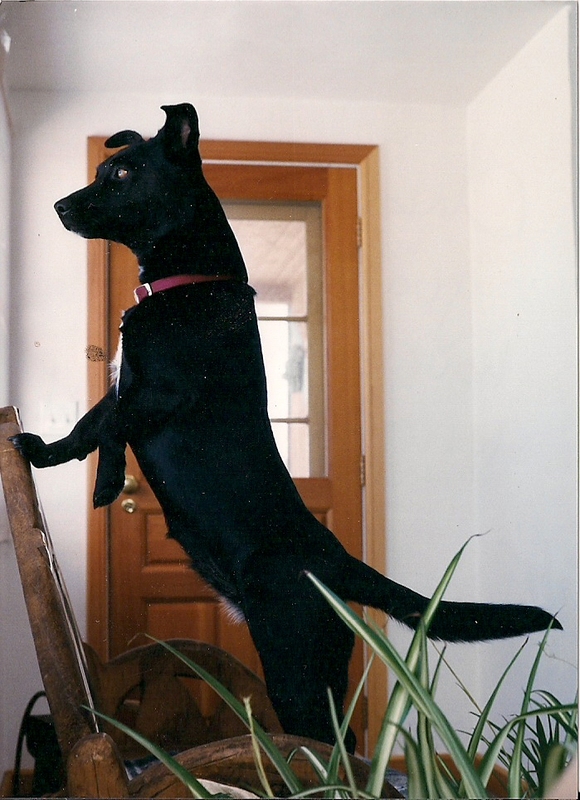 She blossomed over the years and grew into an amazingly confident, feisty, and incredible dog. 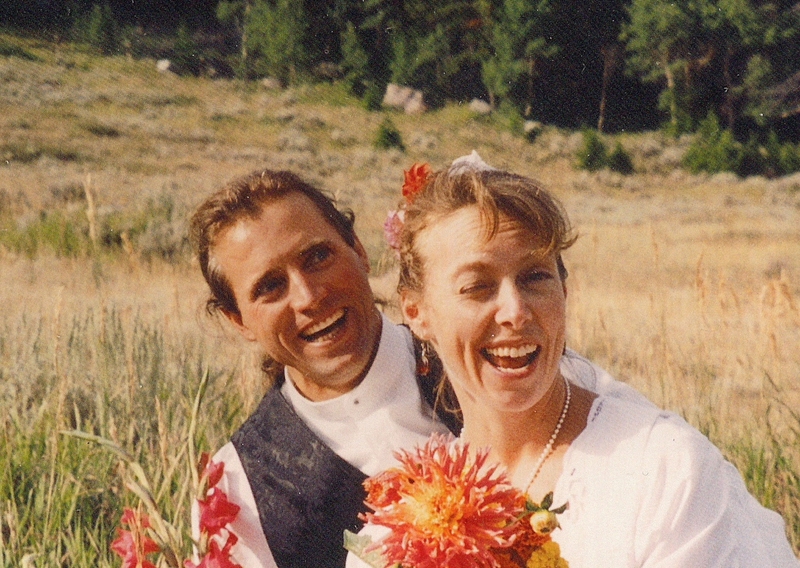 When my babies were young, we moved to Montana to continue our dream. Not long after arriving, Spore found a good job working on custom homes. 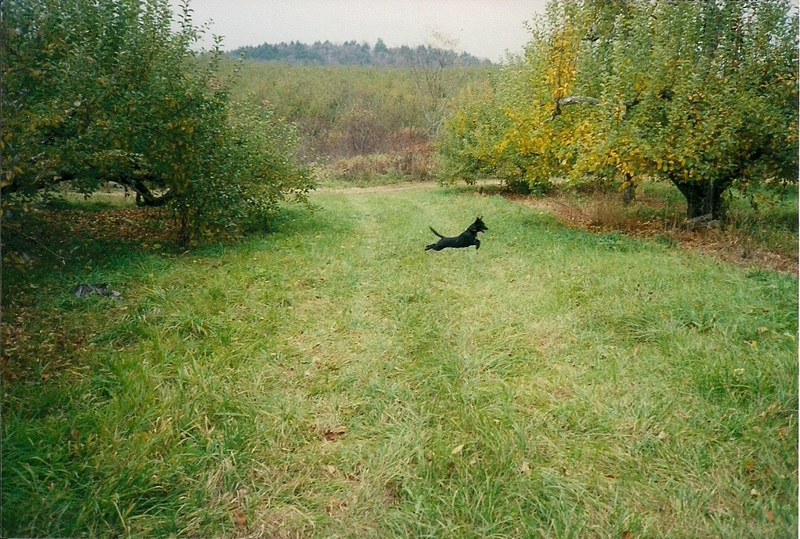 He would bring Chiquita to work with him a couple of days a week, it was a ginormous house with acreage around, and perfect for walks at break time. They loved their work days together. She had a pillow in what ever room he was working on and a blanket to cuddle in. 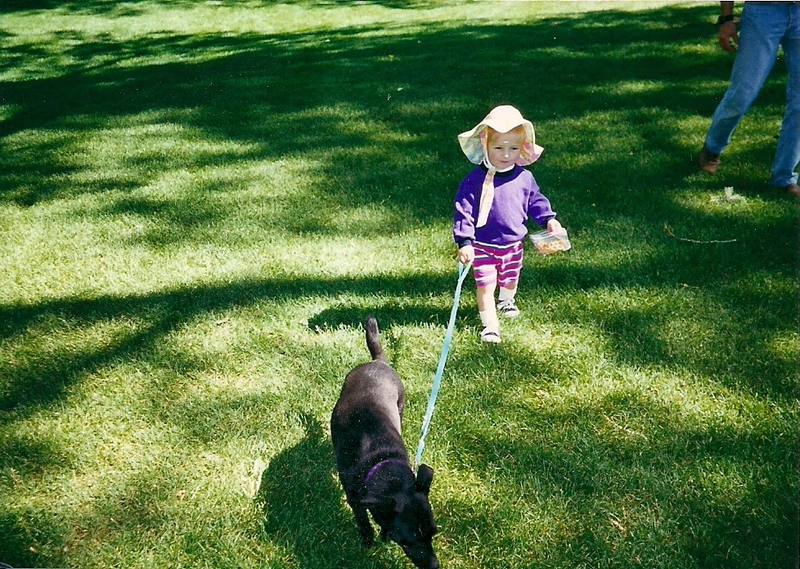 They would take walks together, explore some of the fields and trails, and both come home tired and happy. One day he called during his morning break. I was looking forward to hearing about her squirrel adventures. Spore said that Chiquita was missing. For some reason my brain didn’t compute what he said, I couldn’t, or wouldn’t allow myself to believe what his words were saying. He told me he would take a walk to look around and call me back in an hour. I loaded the kids and we drove the hour to his work site. We walked around, looked for tracks in the snow, looked for signs of anything, and what was so puzzling was, there was nothing. And you have to keep in mind that she never was more than 20-30 feet from us, ever! When I took the kids home, with me now in full blown sobbing tears, Spore stayed in his car on the drive way of his job site. In case she came back he would be there. He camped there for four nights. The next morning I made calls everywhere, the Sheriff, Highway Patrol, Animal Control, Shelters, Rescues, Home Owners Associations, etc. The Sheriff in this area told me to get over it and get a new dog, and to not call him again. Highway Patrol was similar, and the list of doom and gloom people went on for days. My husband asked the crew what they had seen, if anything, and for any kind of help. He spent four nights in a row in his car and searching during break times. At night he would put on a head lamp and search the area looking for anything, any clue. A collar, blood, fur, tracks, something. What kept coming up was, nothing. And that kept striking us as odd and scary. When our ads hit the paper we received tons of well meaning calls, but not in the right area, or it was the wrong description. Then the calls from psychics, intuitive’s, and animal communicators started coming in. Not just a few but a lot. I couldn’t catch my breath, I couldn’t stop crying, and I felt so panicked. Did she slip into a snow bank and is trapped, did coyotes draw her out, did she wonder off and get lost? I would walk on the trails and look for any clues, throw myself in the snow and cry, beg for her to come home, plead for a miracle, anything. But there was a reoccurring theme, what really didn’t make sense was the fact that she never was far from us, ever, at all. Even though I was jacked on Adrenalin, crying, and my heart was breaking, nothing was adding up. It was confusing. I felt so raw and exposed. I very tenderly asked my husband to think back to the day she went missing, and to remember everyone who was at the job sight, or anyone new that came on to the job sight. DING! There was one person who showed up that was looking for wood workers for his house and he wanted to check out the work that was currently being done. When he was gone so was Chiquita. And this is where things get weird, as in surreal. The details don’t matter so much any more, as they are so convoluted, twisted, and weird, that it would take away and diminish the meaning of this story. It would be safe to say, we eventually found a way to contacted this person, he was surprised at how much we loved her and how hard we were willing to get her back, he passed her on because he didn’t want police coming around, and we know she ended up some place near Bath, Ohio. This all transpired over a six month period. We used pretty much ever scent we had and then some. We wrote, called, traveled and looked. My husband quit his job because there was a connection with the person who took her. I had to stop answering the phone because it became psychological warfare for me. An intuitive telling me where she was, how she was doing. A young kid thinking that she may have run through their back yard earlier in the morning. FBI calling to tell me to get passports and pack bags for all of us because we had stumbled on a hornets nest of bad people. And on and on. And why? It was more or less a heartless, soulless, super wealthy scum of a person that wanted to add a mascot to his lifestyle. And she fit what he was looking for, so he took her. Having a loved one stolen is traumatic, debasing, and an assault on the heart. I don’t think I have ever gotten over it. I more or less have learned to live with it. But there are days, like recently, where it all comes to the surface. 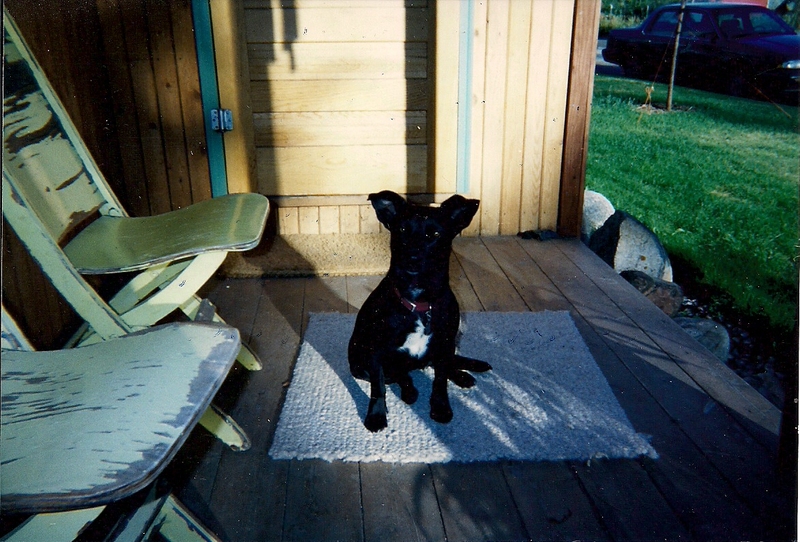 She was stolen in March of 2002, and every once in awhile we will get a call, not often, but they come. I dream of her every now and again, and when I wake up I have that whole and complete feeling, even if just for a fleeting moment. Every so often I will be overwhelmed with her smell, the feel of her fur, or a memory, and it’s hard to recover. Those days are further and further apart now, but the intensity has never lessened. It is the not knowing that is the hardest. Have I forgiven this person? I don’t think about him hardly at all maybe three times including tonight in the past ten years, but no I have not forgotten this cruel act, nor have I forgiven him. I’m not sure how to do that. Is it common for dogs to be stolen? From what I have read, over 100,000 dogs are reported stolen each year. I believe the number to be higher, because as in our case, we were dismissed by local authorities and I know nothing was reported. The most common reasons I found were; dog fighting rings needing bate dogs, satanic cults, bio medical research, bio medical research class ‘B’ laboratories, resale if intact or puppies, if intact puppy mills, etc. Class ‘B’ dealers provide random source animals for research, usually stolen gentle family pets that are easy to handle. These are no less than a horror house, badly maintained, and cruelty is the norm. When dogs are stolen, it is highly unlikely to get them back. Only every so often. In the inter mountain area a few years ago, each major city had a wave of 12-15 dogs go missing from yards in the same day. It is believed that these were Class ‘B’ dealers. Dogs are most commonly taken from unattended cars, yards, and outdoor kennels. I have wished and hoped for ten years that she ended up in a home that loved her to the moon and back. A home that had good dirt for digging, and mice to chase. I love her deeply to this day, and I think I wear her on my heart each time I step out to do anything challenging. I’m so sorry that this has happened to all of you and Chiquita. The depth of your sadness can’t be measured. The cruelty of others really leaves me at a loss for words. Here in SE QLD, only a month ago, an older woman living on her own, went away for a few days. She left her 2 miniature ponies in the field with plenty of grass and water. On her return her house was empty. The horses were gone too. The neighbours had seen a removalist van( men wearing uniforms and carrying paperwork) taking her furniture and belongings. They asked questions and were told the lady had passed on and they were just doing their job. So the neighbours helped them ! And finally they dragged the ponies down the road to who knows where. The lady returned to find everything she owned and her beloved ponies gone. No trace. I think there are people who are born without the love and soul gene. They have no way to understand the destruction they leave behind because of certain decisions they make. To come home to nothing… how do you recover from that? I hope your neighbor has good friends in all of you, she is going to need it. I’m so sorry for your loss Nancy. The horror of that experience can’t be quantified or easily imagined. Badger and I dodged a bullet once, when he was young. I had taken him for a bike ride down to a nearby park, and stopped off at the office of a friend to say a quick hello. I tethered him with my bike and ducked inside. My friend said that I should bring him in and stay a while. I had been gone from him only a few minutes, and when I went out to get him there was a man I didn’t recognize striding purposefully towards my dog. When he saw me he stopped dead, started muttering rapidly about how Badger looked like a dog he used to have when he was younger (or something like that, he was barely coherent), turned and bolted away. I remember thinking that this was not the behavior of a friendly stranger who had just wanted to pet my dog… I feel certain that, had I been inside a few minutes longer, Badger would be gone. now what do you tell your friends and clients about tying dogs up outside unattended? I bet you see life a bit differently knowing you could have lost Badger in such an ugly and tragic way… I am so glad he is still with you. We’re all guilty of it at least once in our lives I think. You’re in a little cul de sac, there’s no one around so you think “It’ll be ok. I’ll just be a minute.” Or you’re at work, surrounded by familiar people, going through a routine that you’ve gone through a million times, so you turn your back, because you’re in a safe place… 😦 It’s a brutal world that ill-rewards a trusting nature. But you’re right, my outlook is quite different now. Nancy and Tom ~ You have both led an extraordinary life, both apart and together. Your experiences are rich, life giving and certainly life changing in such a profound way. Reading the story caused memories to erupt and tears to flow. Then you asked me to read it to Dad this morning and I did my best to get through it without tears, I did and he was deeply touched and moved, his memories of Chiquita are very clear and vivid. I remember talking with you daily in those first four days and then following the path to Ohio. I am so very proud of both of you, mostly for the people you are and in my life. I love you. My heart goes out to you. I can’t even imagine something like this happening, and the utter gut wrenching heartbreak you still feel to this day. I am so sorry that this happened, and it sickens me that there are such sick, twisted, utterly disgusting people in this world that would do such a thing. Again, my heart goes out to you. I can feel the love and the intense bond you have with Chiquita. What a lovely and beautiful soul she is. I am so sorry. Chiquita is in my thoughts. PS: I came through Chancy’s blog. Thank you for reading her story. It was by accident that I found Chancy’s blog, I was reading pet blogs one day and clicked on a ‘digging post’. We have diggers too so I thought it would be fun to see others. I wasn’t prepared for the photo that I saw. It was an unexpected moment, which was a good thing, as I finally had the courage to write it all down. Again thank you! Mom it is so good to hear you admit that you loved being with her and having that time. We all knew it, but you dismissed it. I think she crawled into all of our hearts, we all still miss her… Love to you. I so appreciate you sharing this story and for coming by Chancy’s blog and letting me know how much our two sweeties look alike. I viewed some of your videos. You have great talent for training dogs. That is cool that you were on the Martha Stewart show I really enjoyed watching you dance with your beautiful border collie and seeing all the tricks…such a smart dog. Chancy and I are honored that a lady with such talents and so well known took the time to comment on our blog and let us know about Chiquita and that you would share her story. Thank you! Hugs and nose kisses from us! Nancy, I am speechless. The pain of losing a dog for medical reasons or age is unbearable, but the pain of losing a dog this way? I don’t know how you recover from something like that. My heart breaks that there are those out there that can do such unspeakable acts. I also have to mention that in a previous post awhile back your story of your dad taking your dog for a “business lunch” sparked a love of doing the same with my Casey. For the last year of Casey’s life, we would often go to McDonalds for a plain burger, then head to the park for a walk and a special lunch…it was a special time I took for just me and her. The last 2 weeks of her life, those special lunches became the only meal she would eat, and I will cherish that time we had together forever. Holly and I now have ‘lunch’ together in the park once a week in memory of my Casey 🙂 Thank you. What a terrible story. I can hardly believe it, it is unbelievable. You really didn’t get back this lovely dog? I can understand that you don’t forget, and I can understand that you don’t want to remember. It is so cruel. The most cruel, apart from the loss of this lovely dog, is the reason dogs are stolen, in general. I have to try to forget that as soon as I can, it is like a nightmare. My “like” is thanks for sharing. Bente thanks for reading. It is a cruel act to take something that is not yours, especially when it is something that is so attached to the heart. I can’t imagine the heart of a person that is cable of doing this. But it makes me think of Chiquita as a warrior princess in ways, for not only being stolen by this person, but tolerating what ever she had to tolerate to get to where ever she landed. The strength that would take makes me focus on her more than anything else. thank you for your kind words … I will take the love and hug, it makes a day so much better! Thanks Mary, love is a good thing and for some reason for me, over time becomes stronger. I just read your story about Chiquita…so heart-breaking to lose your best furiend in such a way. It’s one of my worst nightmares. I’m not sure if she was my best friend, I’ve thought a lot about that over the years. Our relationship was so seamless and tangible, it was simply love in motion. It’s always hard to lose a dog. They have such a way of getting into our hearts and soles. To lose a dog through the cruelty of another person is truly horrible. However, as awful as this story is, it also warms my heart to know people like you and your husband exist. You gave a special little dog home a loving home rather than leaving her to an uncertain life in Mexico. Your husband camped in a drive way for 4 nights “just in case”. You both spent hours and hours searching in the dark and following up with law enforcement and other means. Thank you for being the wonderful, loving people that you are which just might help balance out the evil and cruelty in the world. Katy thank you, those are wonderful thoughts and good way to look at things. How powerful life would be if more people ‘could see’ tragedy in this way. So sorry to read your story. I’m always used to reading your blogs for the entertainment/information value in them. This one made me tear up for Chiquita and the rest of you. So sad. I hope that Chiquita made it to a good home and was loved. The ‘not knowing’ is the hardest part. I didn’t know that the number of stolen dogs was as high as you wrote. It sickens me that there are those types out there. But, it doesn’t surprise me. yes, it is the not knowing that is hard. I spent the entire story with everything crossed it would be a happy ending! I am so sorry to hear about your loss, and can’t even begin to imagine how you must feel! Us dogs love unconditionally and to have some betray that love and trust…… Sending hugs! Hi Nancy. This is such a sad story and I am so sad that Chiquita was taken away from you. 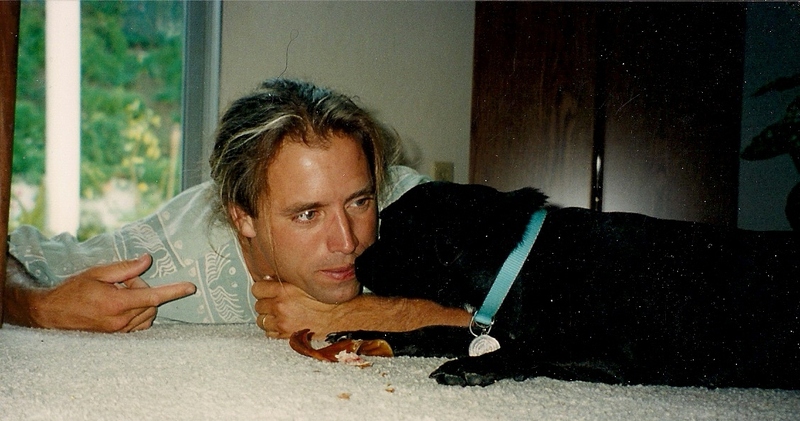 Many years ago Tom had a brother-sister yellow-black lab pair. 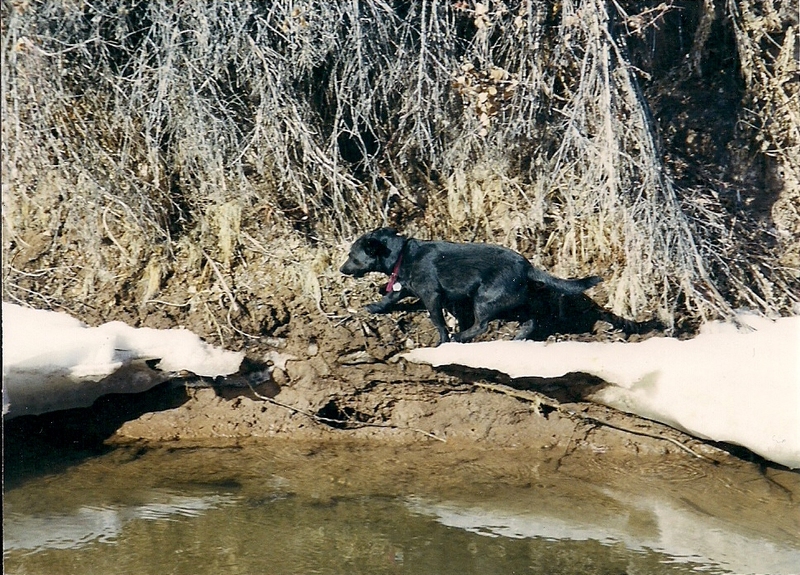 Both were very well trained bird hunters, Jake a little less “proficient” than his sister, Sage. 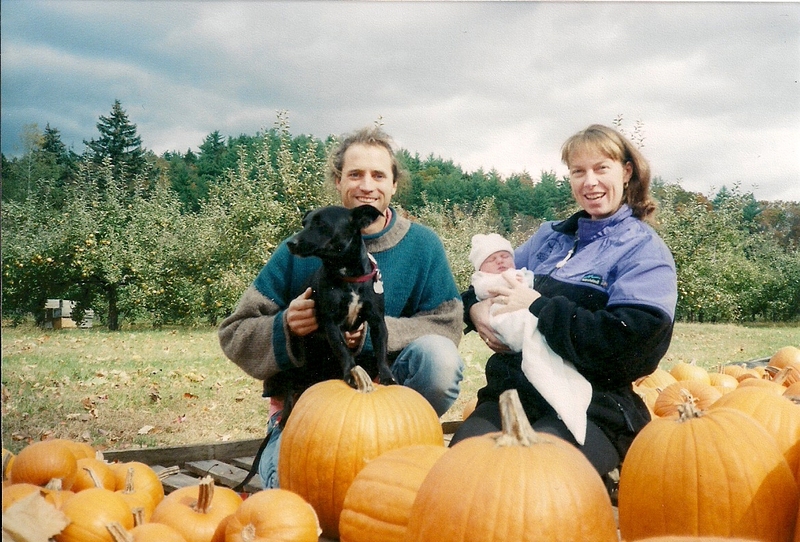 Both dogs were kenneled outside during the day and one day, when Tom came home from work, Sage was gone. The latch to the kennel door was undone and wide open (it was on the outside and too high for her to undo). He never saw her again. Someone decided to take a well-trained dog and keep her for themselves. Jake lived to be just about 14 years old and I knew him for the last 10 months of his life when he came to live with us (after his ex determined she didn’t want him anymore). I fell totally head-over-heels in love with that dog in 10 months time. I can’t imagine what you and your family went through. It is just gut-wrenching and sad. Such a heart wrenching post, I kept hoping there would be a happy ending. I’m so sorry, Nancy. thanks Eleenie. It was hard to put it all down and into words, but the love that has come back from it has been unexpected and heart felt. no, there is nothing worse, except maybe having a child stolen……but I think it might be just as heart wrenching. Been there, know how you feel. thank you for the story. Namaste. I know this post is 6 years old, but, I wanted to thank you, because it really does help people going through traumatic experiences like this to know they are not alone. We live next to a despicable psychopath of a human being who recently poisoned two of our outside cats. It’s a long story how we came to the conclusion that it was her, but yes, we are sure. Like most of our cats, they were strays. We tried to keep them inside, but old habits die hard and they just wouldn’t have it. For years they provided rodent control for this neighborhood, which has always had a big problem with mice. Then Psycho moves in and instead of speaking to us about our cats, poisons them. You would not believe how common this is. There are even articles online about how to poison your neighbor’s cats and dogs. And it is not illegal as long as the poison is on your property. The moral is, you may think you live in a “nice neighborhood,” you may think your pets are safe even without your supervision, but in reality, there are despicable people in all parts of the world. You must keep your loved ones close. But to anyone who’s pets have been cruelly taken from them, knows that you are not alone.